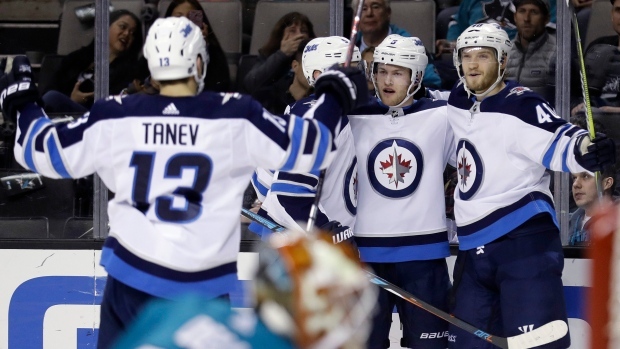 As the NHL schedule halts for a few days to showcase the game's stars, the Winnipeg Jets are leading the Central Division at the All-Star break. The Jets now start a 10-game, 22-day homestand, and it starts against the NHL’s two best teams, Tampa on Tuesday and Vegas on Thursday. The Jets have played the fewest home games in the league and have the fewest home losses in the league at this point. So more on the Jets leading the Central. Patience, drafting and development, as well as letting young players learn on the job, have all played a part in the success. But there are other factors. The trade with Buffalo in February of 2015 was huge. We won’t relive the trade other than to say that Tyler Myers, Joel Armia, Jack Roslovic and Brendan Lemieux were part of it. Great work by general manager Kevin Cheveldayoff on building this team and the scouting staff for terrific picks. And yes, the organization for sticking to the plan. Then, success in the lottery at the 2016 draft brought Patrick Laine. Yes, in sports luck is needed. After that, it’s on players and coaches for success. So let’s look more closely at what gets said and what it means. Some are from the captain Blake Wheeler, many from coach Paul Maurice, but some from other players – their view of how this is supposed to work. At the start of the year, the word “defend” was used a lot. “First priority is to be good defensively." Yeah, we may have heard it a time or two. The Jets last year were a team that was guilty of neutral-zone turnovers. No more. Now one of the best teams in that department, the commitment to the defensive part of the game is reflected in the goals-for and goals-against going from a minus-7 last year to a plus-28 this year. Again, a checkmark for this year’s team and an area that needed improving. “More movement on the power play and have two units that can score”. The Jets home power play is tops in the NHL, while the power play overall is second in the league. A few changes on the penalty kill, as well. With injuries, players have moved around. Blake Wheeler has gone from right wing to centre, Mathieu Perreault from the fourth line to the second line and will set a career high in goals, Andrew Copp, from left wing to centre, and on it goes. Copp summed it up early in the season when talking about positional adjustments –“Get used to it, accept it, thrive on it." Deal with the here and now was the plan. They have stuck to those words. And that probably is the attitude you need in the wildly competitive Central Division. The Jets have not gone more than two games without picking up at least a point. Going into the All-Star break they had points in four straight (3-0-1) and were 9-2-2 since the Christmas break. The Jets lead the league in first-period goals scored. Individually, All-Star Connor Hellebuyck sits second in wins. He has been terrific and his numbers back that up. And as his game improved, so did the team play. Twenty-two times he has given up two or fewer in a game. The Jets hope to have Adam Lowry and Dmitry Kulikov back right after the All-Star break, but Josh Morrissey and Jacob Trouba were both banged-up in the Anaheim game. Trouba left in overtime and did not return. Mark Schiefele, Shawn Matthias and Steve Mason remain out. The Jets are still a young team, and the young players that “learned the NHL game on the job” play critical roles in the team’s success.